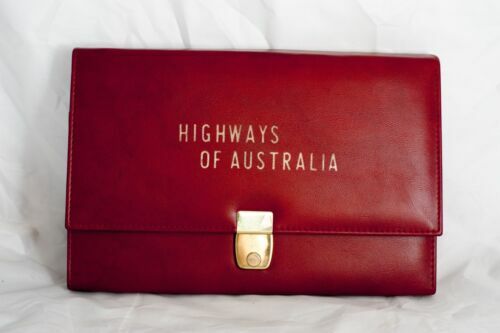 Map case with plastic folders compartments inside, Highways of Australia. Map reading hand book produced by the Tasmanian government in 1978. Manual of map reading, air photo reading and field sketching. Tables for the computations of geographic and rectangular coordinates.